Rosin Eyecare is pleased to announce the launch of a unique new retinal imaging system in or practice at our Downers Grove office. The Optomap captures an ultra-widefield image of the retina in a fraction of a second. The 200 degree view of the retina enhances clinical care, patient satisfaction and practice efficiency. It is performed quickly and easily in the pretest area, enabling the doctor to spend more time diagnosing and educating rather than gathering information. The Optomap provides a permanent image to store in your personal medical records. This image will assist us in tracking subtle changes in the retina over time. Recent clinical research shows that the Optomap enhances the comprehensive eye exam. It has also successfully aided in the diagnosis of diabetic related retinal diseases, hypertension melanomas, and can identify some heart disease risk factors. 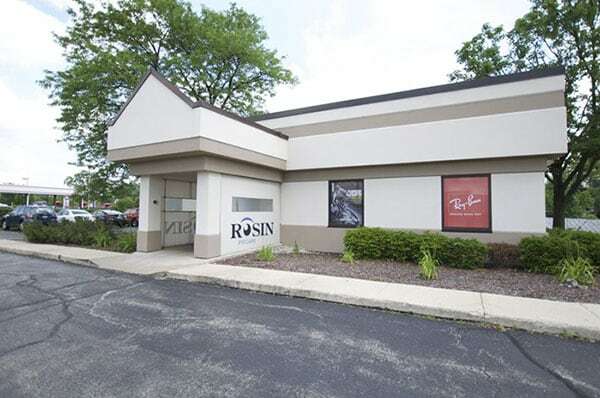 For eyeglasses, contacts, LASIK and a wide array of eye care services, come to Rosin Eyecare in Downers Grove. Since 1930, Rosin Eyecare has provided Chicago and its suburbs with a combination of professional expertise and genuine friendliness. Located near the Downers Plaza Shopping Center, across the street from Panera Bread, our Downers Grove office at 145 Ogden Ave. is conveniently accessible for all of your medical and vision-based eye care needs. With a comprehensive array of services that include LASIK, this location has been a trusted name in the Downers Grove neighborhood since 1976. This location offers a wide variety of eye care services, from annual vision exams to LASIK consultations and procedures. Our expert staff will happily assist you with any questions you may have regarding the procedure, as well as treating medical conditions like glaucoma. Our eye examinations are second to none, and we can help you choose from our large inventory of frames and a wide array of Spectacle lens and contacts lens styles. 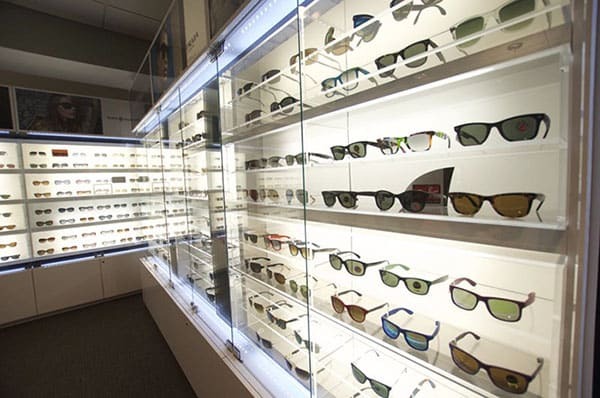 With frames for men, women and children, our Downers Grove office has everything you need to maintain the best vision possible. Call us today for an appointment at (630) 971-2020. *From the East: From Hinsdale Golf Club take E Ogden Ave (US-34) west towards N Casa Ave and pass Standard Market. Continue on E Ogden Ave where we are located on the left next to Fullers Carwash of Westmont. *From the North: Take Midwest Rd south towards Butterfield Country Club. Turn right on 31st/Oak Brook Rd and head west past Midwest Club Gatehouse. Take Meyers Rd south, which turns slightly and becomes Fairview Ave. After passing Whitlock Park turn left onto Ogden Ave where we are located on the right across from Panera Bread. I booked an appointment via phone. The girl that handles the front desk seems a bit indifferent and requested that I fill out a health questionnaire. The actual doctor, Dr. Hirsch, is a very friendly lady who took plenty of time to answer all of my questions. My vision is 20-20, however I do have slight astigmatism. She didn’t try to pitch glasses or contacts, but said seeing I have insurance, I might consider them. Having never wore glasses before, I figured it might be worth it as I have the VSP Vision Care coverage. I picked out a great pair of glasses, paid my $20 co-pay, a $25 digital photo of my eye (out of pocket, insurance does not cover this) and the remaining amount for frames and lenses. My total out of pocket was $139. Overall, a pleasant experience with the girl who helped me pick my glasses and Dr. Hirsch. I just wished the girl at the front could have been a bit more engaging.